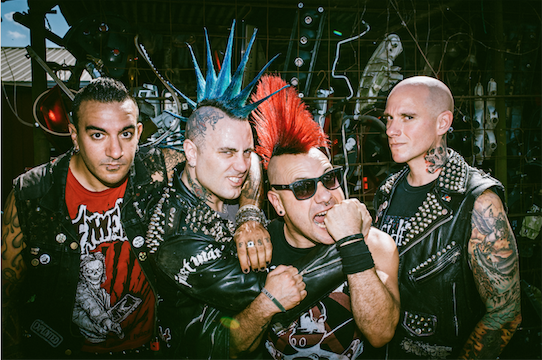 Street-punk vets The Casualties have debuted a new song today titled “Feed Off Fear,” at ConsequenceOfSound.net. The song is featured on the band’s anticipated 11th full-length album, "Written In Blood", that’s due out on October 26th via Cleopatra Records. PRE-ORDER WRITTEN IN BLOOD: https://kr-m.co/casualties. STREAM “FEED OFF FEAR” NOW AT CONSQUENCEOFSOUND.NET: http://bit.ly/2zJSbrk.